He's always loved pugs. I used to think they were so ugly but I've learned to love them. They are so ugly they are cute. 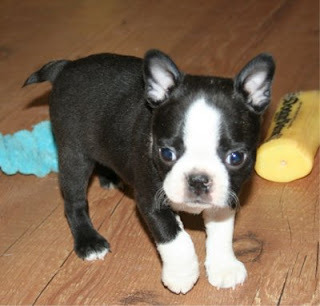 I love boston terriers. If it was up to me, this is what we'd get. Look how cute they are? 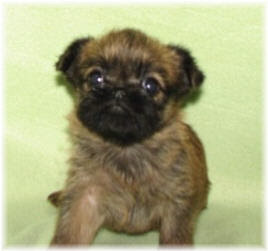 We were watching the Eukenuba Dog Show last weekend and came across this breed, Brussells Griffon. 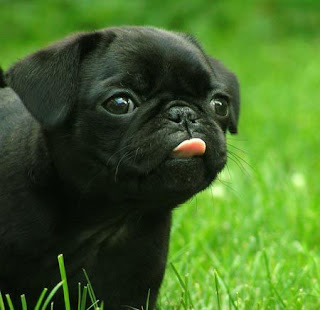 It is another one of those dogs that are so ugly they are cute. 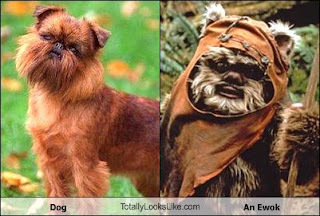 This doggy looks just like an ewok. Anyway, Noah still has sone convincing to do. But he uses his charm against me. I'm such a pushover when it comes to him. Downfall for sure! By the end of this week the baby will double his weight. Right now, they are the size of an avacado. The baby has eyebrows, eyelashes and is even growing toenails! 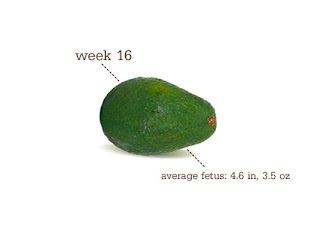 The doctor said I might start feeling the baby's tiny movements as soon as 16 weeks but says I won't start really feeling them til about 19-20 weeks. I still can't believe I'm 4 months already! What do you think I'm having? Honestly, I don't have any strong feelings toward either gender. I'm just excited to find out. Two weeks are going to drag by. OMG!! 4 months already..time really flies!